Coming later this year. Do you need to buy the kits??? 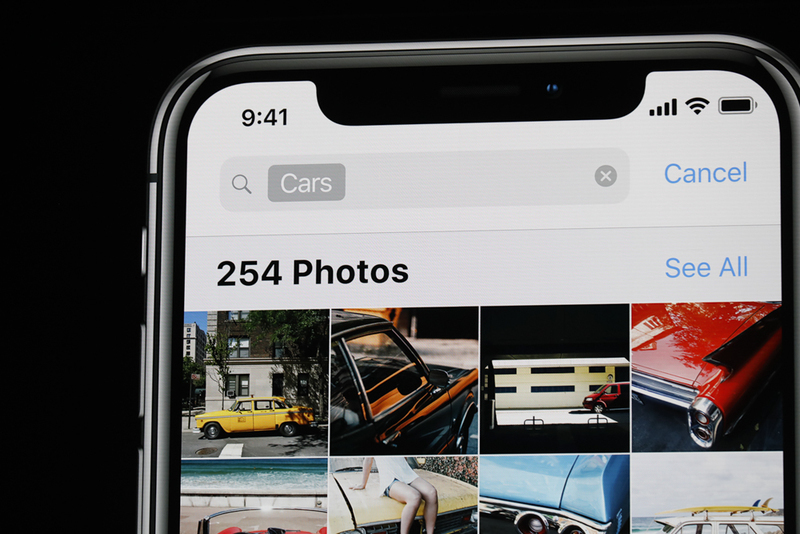 "In iOS 12, search now starts working for you even before you start typing with search suggestions. It will highlight things for you like key moments and people who are important to you." "You can search for places by business names ... or even a broad category like museum." You can search for concerts, sporting events, multiple search terms like surfing + vacation. "In IOS 12 we have a whole new tab called 'For You'"
Hmm. 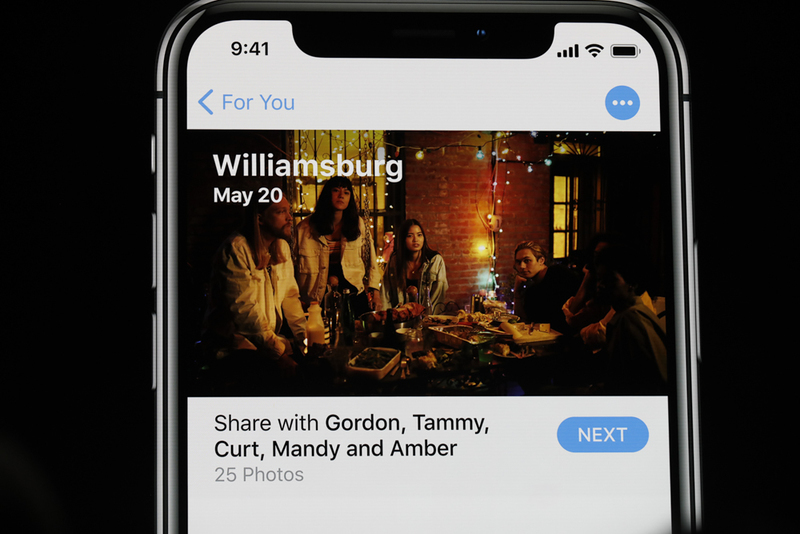 "Sharing suggestions" packages photos and sets to share with friends. Weird. I guess kinda useful? If it works? 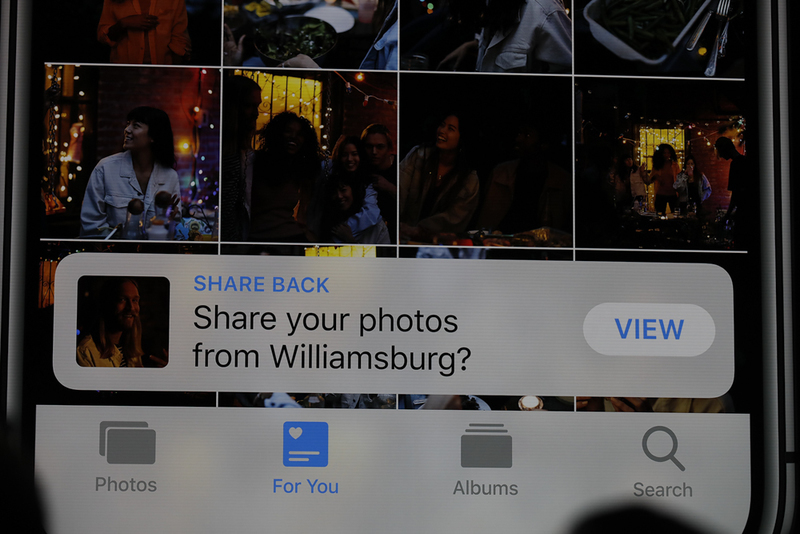 "When you share them, they're shared in full resolution out of your iCloud photo library. When your friend receives them, something really magical happens. 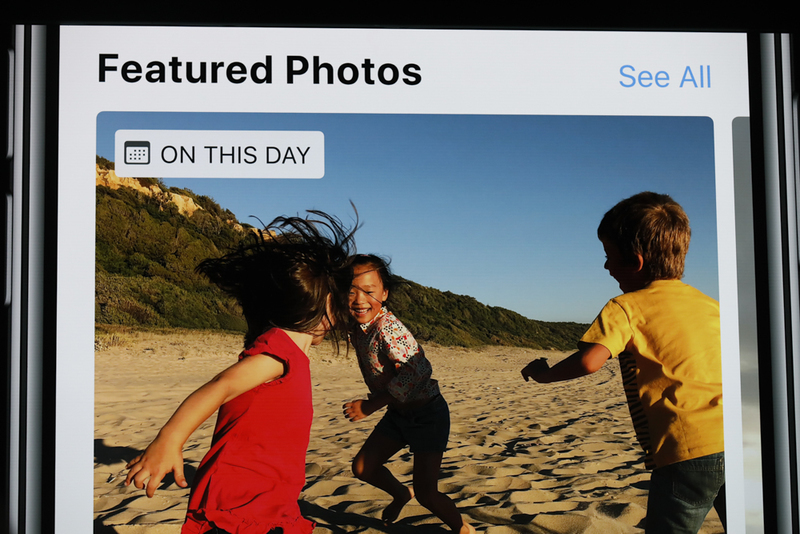 Their phone searches for photos from that event and suggests they share them with you." Oh, Siri. Siri, Siri, Siri. "Next, let's turn to Siri. Siri is by far the world's most used digital assitant. Over 10B requests processed a month." 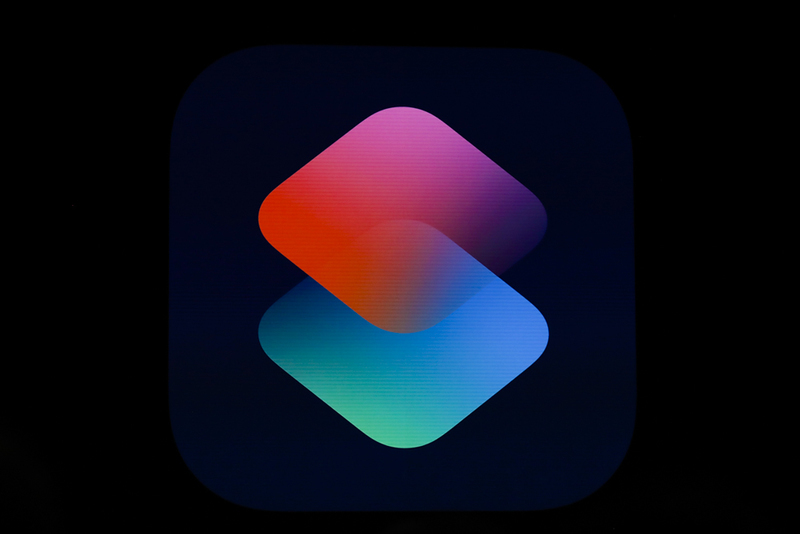 "Now we all know that Siri works with many third party apps for things like messaging, ride sharing, payments, but we want Siri to do much more for you." New feature called Shortcuts. Any app can expose quick actions to Siri. "Say you have the Tile app because you're always losing your keys. 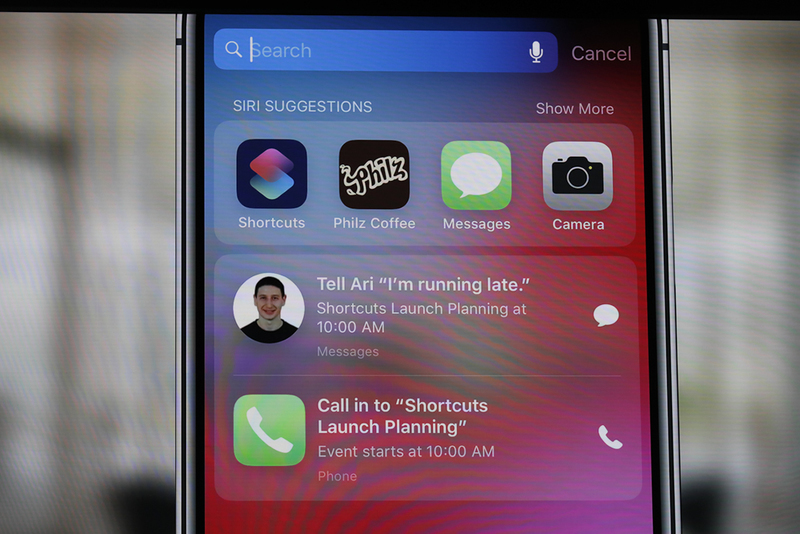 Can add a shortcut to Siri. Like - 'I lost my keys.' 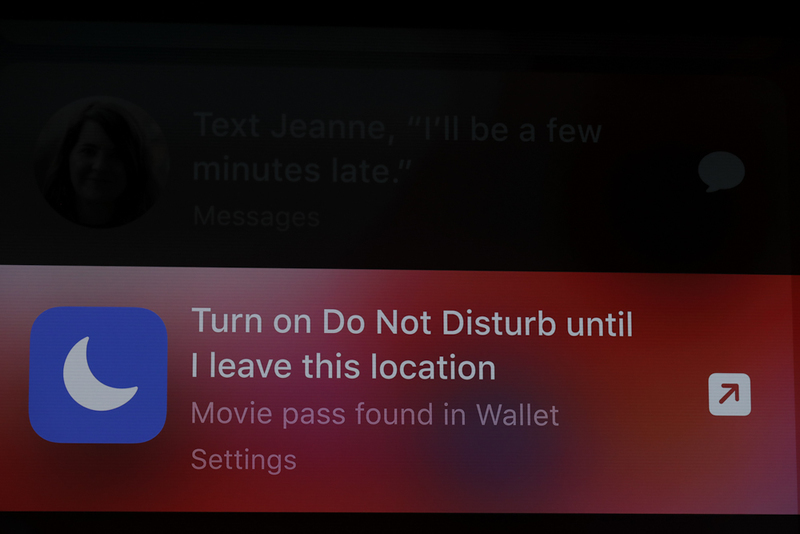 When you say it, Siri will automatically activate Tile and start ringing your keys." Aha. Quick actions being streamlined in Siri, as I hoped. Any app can do this. "You can say 'Help me relax' to kick off a meditation." 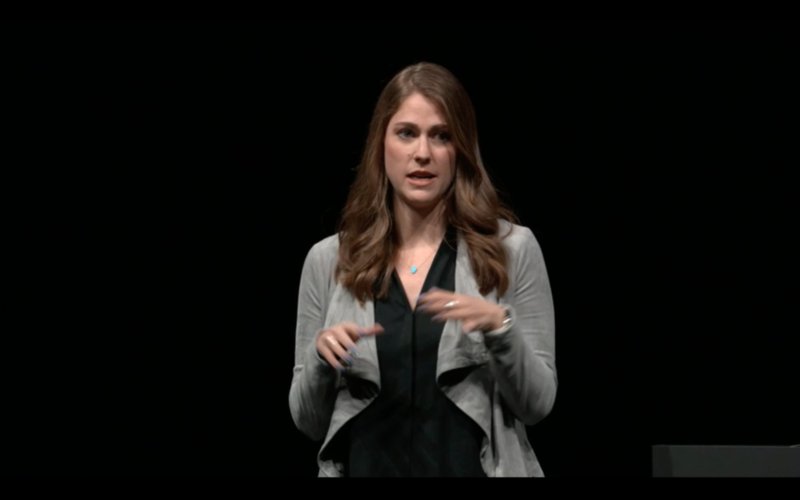 "As you know, Siri is more than just a voice." 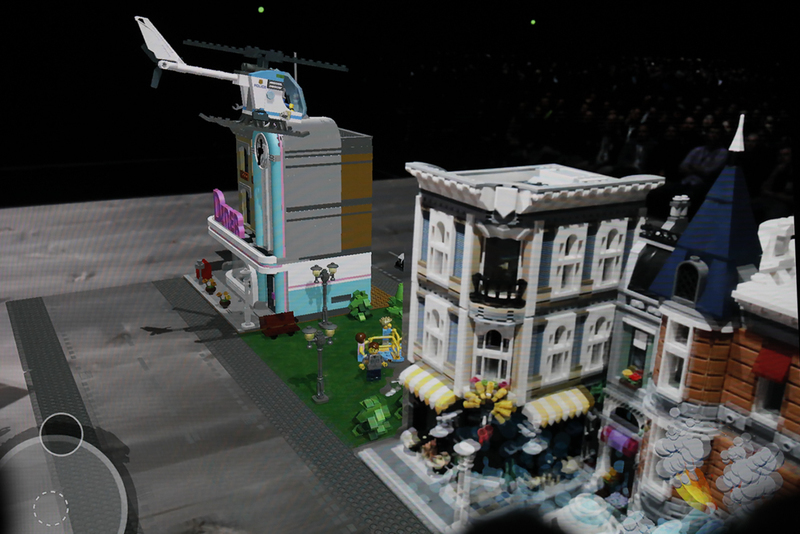 Works in the background. Say you order a coffee at Philz every morning, Siri will suggest it on your lock screen. Oh, weird. Siri now can suggest you order your coffee, like always. Siri aiming to streamline your burned-in routines. 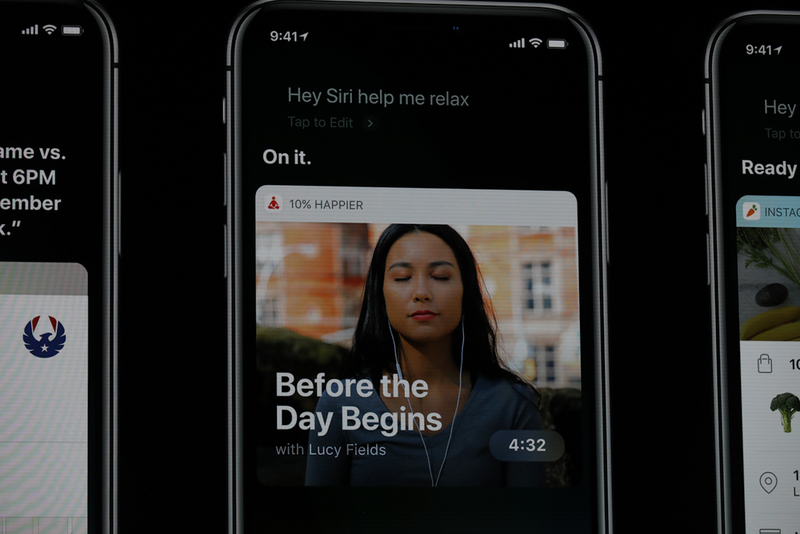 "Say you're running late for a meeting, Siri will suggest you text the meeting organizer, or when you go to a movie, suggests you turn on Do Not Disturb." "We think we're all going to really enjoy using shortcuts, so we went a step further to let you create your own shortcuts." Can make your own shortcuts with Shortcuts app. Robert Altman not included. "All done with simple drag and drop."